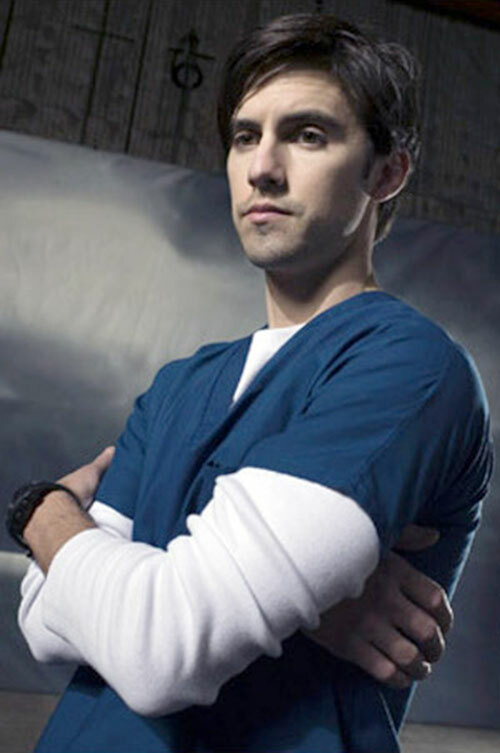 Peter was one of the main characters in the 2006+ TV series Heroes. The series features the emergence of rare super-powers in a realistic modern world. Though the first season was very strong, the show is widely considered to have then sadly disappeared up its own derrière. 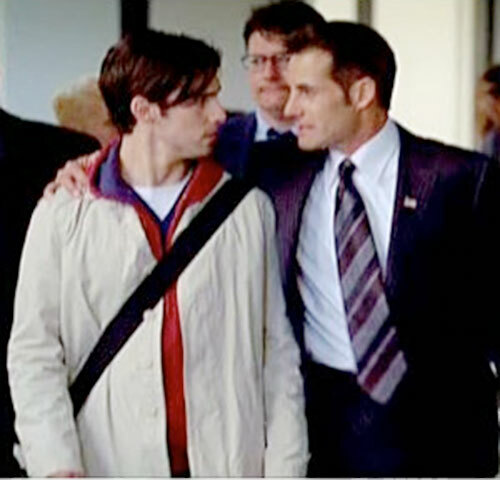 Known Relatives: “Dallas” Petrelli (father, deceased), Mrs. Petrelli (mother), Nathan Petrelli (Brother), Claire Bennet (niece), Heidi Petrelli (sister-in-law), Simon and Monty Petrelli (nephews). Group Affiliation: The Heroes (there’s not yet a formal name for the group coming together in New York). Base Of Operations: New York, New York. Height: 5’9” Weight: 170 lbs. Peter has the power to absorb the abilities of others. Early in the show, and in DC Heroes RPG terms, Peter only displayed about 9 APs of Mimic (Always On). Furthermore, he had no conscious control of when and if he used others’ abilities. As he’s encountering more people with special abilities, his powers have increased sharply (as have his bonuses/limitations). He has been trained how to copy powers long after he originally encountered them, even months later. Claude “Raines”: Invisibility*, Truesight*? (possibly only usable against invisibility). Haitian: Neutralize, Hypnosis (Taking memories only). Eden: Control (spoken commands only). Matt Parkman: Telepathy* (hearing thoughts only), Detect: Lies (in the future). Hiro Nakamura: Time Stop*, Time Control, Time Travel, Teleport. Ted Sprague: Bomb*, Cell Rot (nuclear radiation), Energy Blast, EMP. Isaac: Precognition (visual only)*, Remote Vision. Micah: Interface and likely the Gadgetry Manipulation list power (name eludes me at the moment). Sylar: Telekinesis*, Ice Production, Super Hearing, Recall, Adaptation, Melting, Suspension (to fake his death and possibly combined with Regeneration), possibly Skin Armor, Iron Will (powered) and more. 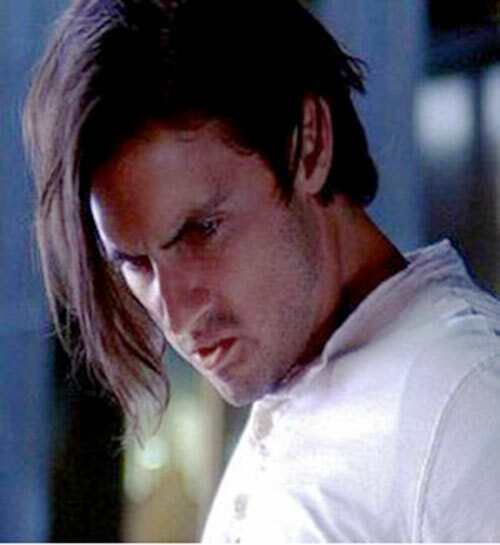 Mrs. Petrelli: Unknown but presumably has some sort of ability, possibly accounting for his Precognitive dreams. 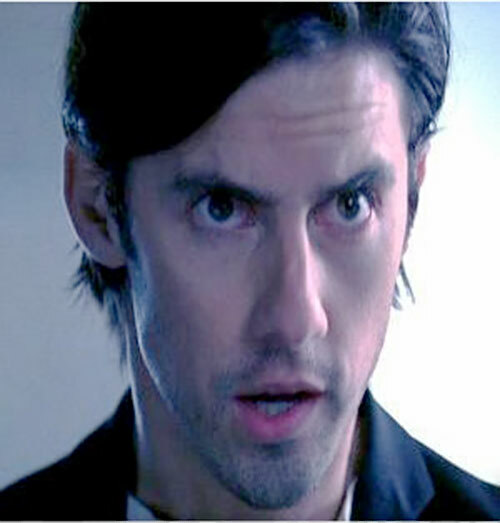 “Dallas” Petrelli: Unknown but it has been stated in the series he had some sort of ability, possibly accounting for Peter’s precognitive dreams. Charles Deveaux: Unknown, but he is the most likely source of Peter’s Truesight and Precognative dreams (especially since it seems Peter and Charles have communicated through these dreams). Hana “Wireless” Gittelman: Cyberpathy (list power of Telepathy with computers only). 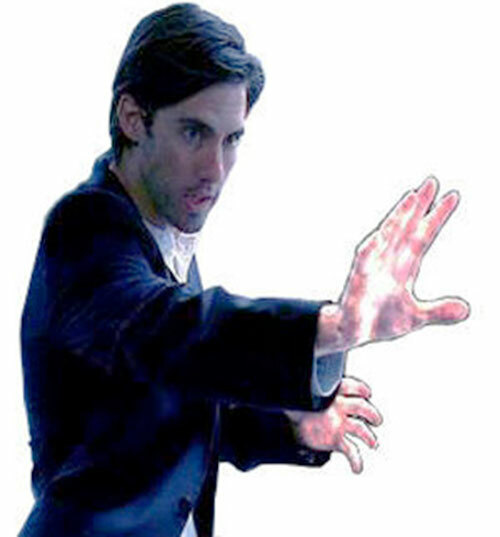 Peter and Nathan Petrelli are brothers with a mutual secret…superhuman powers. Peter is a young man searching for his place in the world. He has been thrust into the public eye by his brother’s lofty ambitions for political office. Peter slowly becomes convinced he can fly… and decides to make a leap of faith. After jumping off a building and being hospitalized (though he does fly briefly), Peter seeks answers as to why this is happening. He visits Mohinder Suresh and tries to convince him of his abilities. But Mohinder is in a moment of doubt and refuses to believe him. Peter then seeks out his romantic interest’s ex-boyfriend, Isaac Mendez. Isaac believes he can paint the future. 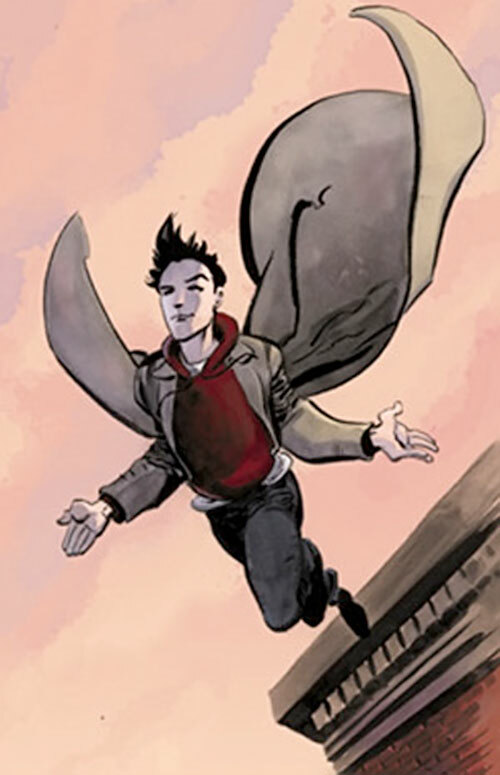 Hiro (from the present) calls Isaac to warn him of his impending death at the hands of a super-powered serial killer. Peter then relays the mantra “save the cheerleader… save the world” to Hiro. He is thrust into a quest to stop Isaac’s apocalyptic vision of the destruction of New York from coming true. 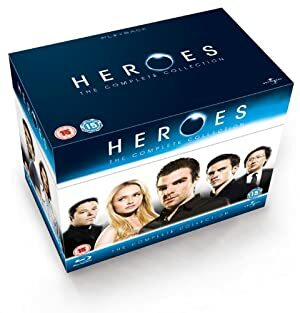 The characters from the Heroes TV series would easily fit into the DCU as is but the theme of destiny proliferated in the show would dramatically change. The “future” versions of the characters could be inserted directly. “Future” Peter could actually be a nemesis for a hero who doesn’t understand his motivations. ”Future” Hiro could easily lead Peter into the DCU time stream as a result of a botched teleport. The pair could seek out various heroes for aid or even become determined to change the past of the DCU (save Barry Allen, anyone?). The “Present” Heroes could fit in a DCU where heroes were first beginning to discover their powers. 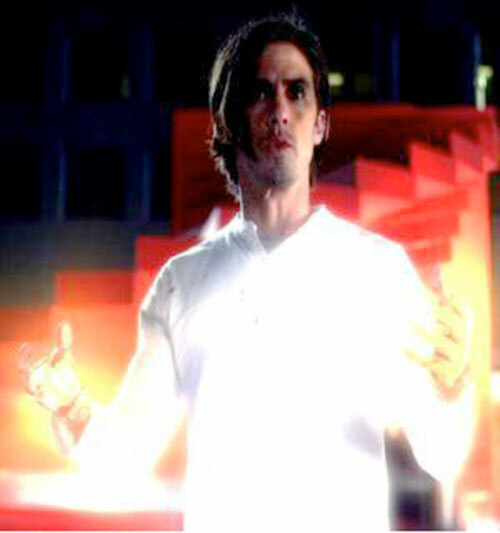 Peter or any of the others could easily be guided to Smallville to encounter Clark or any of the spin-off characters in the same world. Can mimic Skills if they are tied thematically to powers. Mimic has No range (0 APs or 10‘). Only one Mimicked ability may be used per Phase. Peter can only actively use the Mimicked abilities of one person at a time. 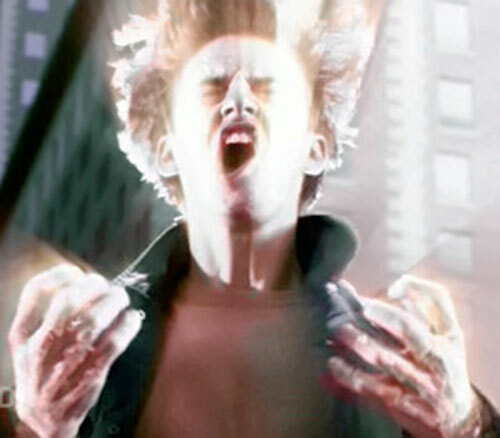 Mimic roll required when Peter first uses the power in a given scene rather than at the time he first encounters the power (it does seem Peter loses this limitation in the Future). Peter may have the advantage that he can Mimic any ability he has ever encountered. Mimic absorbs all targets in range at once. Only known/displayed abilities can be used consciously, all other adapted abilities are considered seriously minor and are subject to the GM. He can also have difficulty controlling these abilities requiring a roll of Mimic vs the APs of Power to keep power from becoming Always On. If Peter ever botches (double 1s) a Mimic roll (including an attempt to control his mimicked abilities), he takes a fatiguing check using the APs of Mimic used. If his Mind reaches 0 as a result of this check, he drops into a coma until his Mind is healed (usually accompanied with a Precognitive dream). 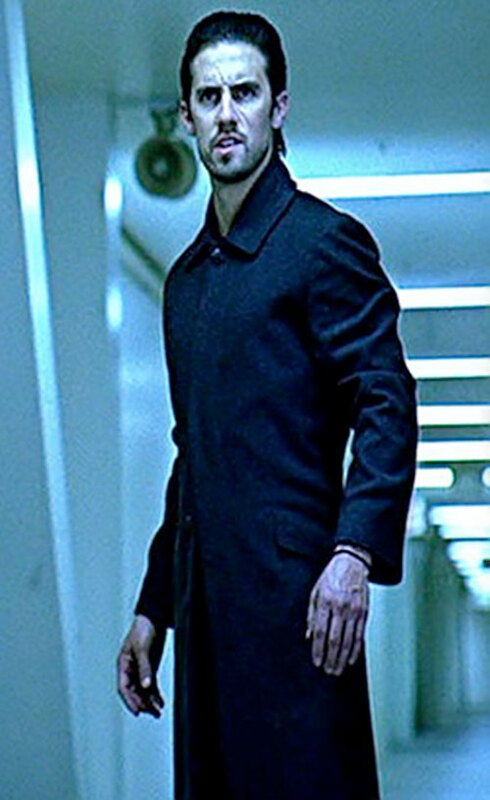 It is unclear if Peter’s precognition is the result of a Mimicked ability (perhaps from his mother or Mr Deveaux) or inherent. However, it only comes in dreams and he has no conscious control of it. It often seems tied to some ability he will Mimic in the future. This is generally a plot device and is separate from Peter Mimicking Isaac’s ability to paint the future (which is more discerning). Rich Family, Scholar (Hospice Nursing). Nathan Petrelli (High), Linderman (Low), Simonne (High), Isaac Mendez (Low), Hiro Nakamura (Low), Mohinder Suresh (Low), Claire Bennet (High), Matt Parkman (Low). 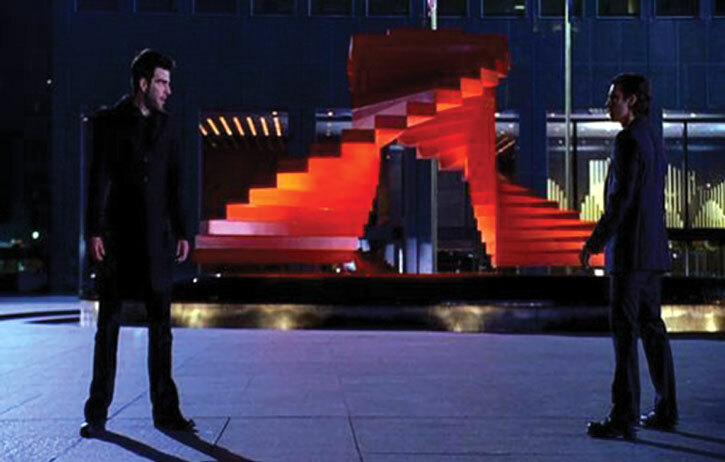 Enemy (Sylar), Limelight (due to his brother), Misc: Peter’s Mimic is based off of his emotions (and those of his benefactor) and can be more difficult to control based on his emotional state, “Future” Peter also has Guilt and Dark Secret involving him being “the bomb” as well as Distince Appearance (Scar). I went with Mimic since (especially early in the series) this is closest to what he actually does. It’s clear he does not have to see the power demonstrated in order to Mimic it (which is an essential part of Adaptation). Also, concern has been expressed about him reaching critical mass on the number of powers he absorbs, not how powerful those powers are. These are the way powers are limited in Mimic whereas Adaptation is limited to APs. In the future of 5 Years Gone where Peter explodes and destroys New York, he has become a grimmer and more angst ridden hero. He is now the leader of a group of “terrorists” who rebel against the government cataloging and detaining of people with powers. His HP are also much higher, probably around 70 or 80. 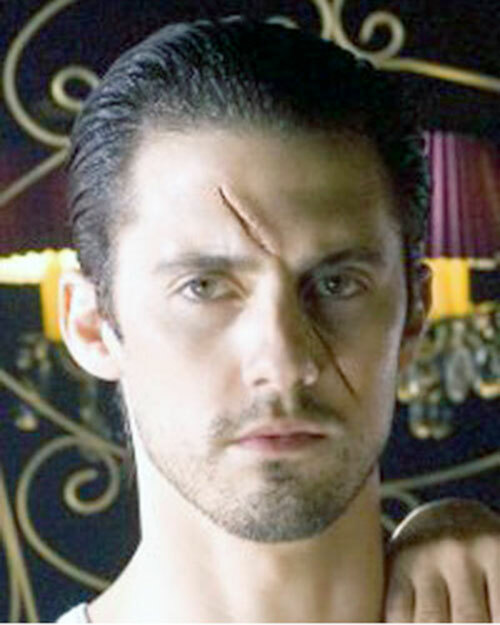 Source of Character: Heroes Chapter 1: Genesis as played by Milo Ventimiglia. Helper(s): NBC.com , Frank Murdock, Bryan Gittens, Tom Eilers, Kal El el Vigilante.